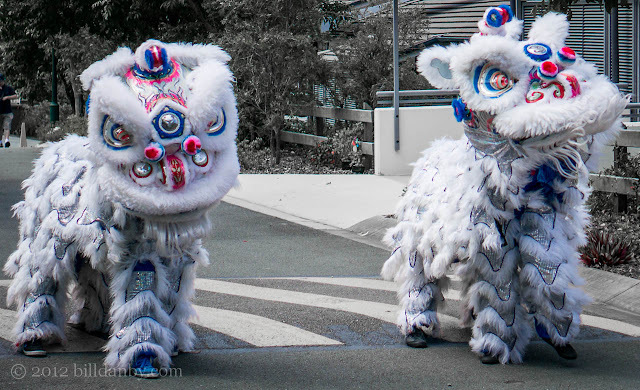 In celebration of Chinese New Year, a local Kung-Fu club brought their Lion Dancers to a street festival yesterday. 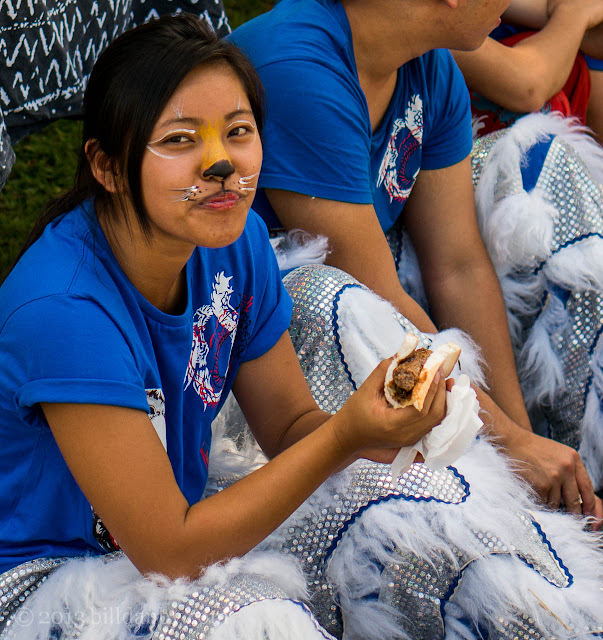 Lion dancing (as opposed to Dragon dancing) is two-person per animal affair. 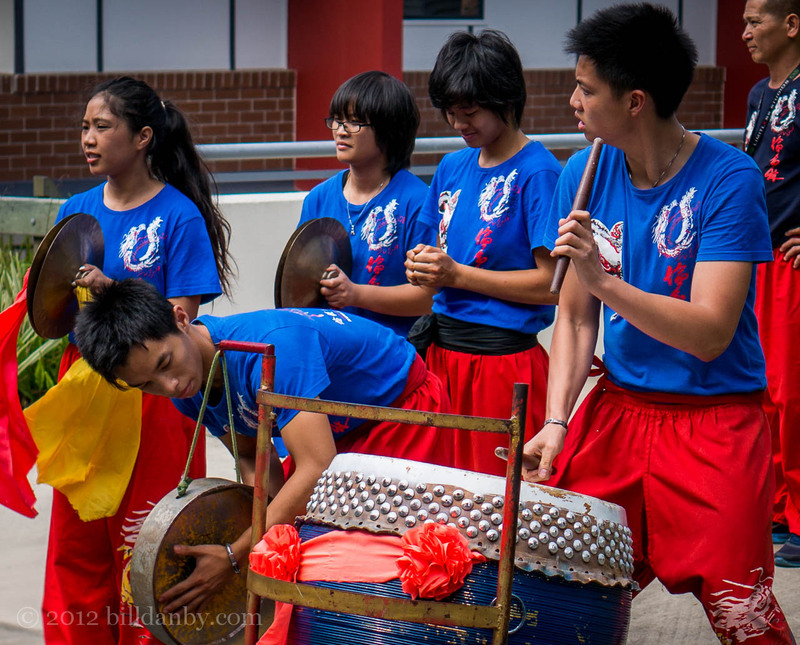 The dancers were accompanied by the traditional cymbals, gong and drum — followed, of course, by fireworks.